Tequila Key is just like any other small town, and I'm just like any other small town psychic. Scratch that. Tequila Key is a world onto itself and some people might think that I am one crayon short of the box. 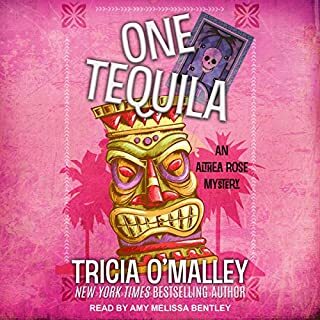 And, if we're being totally honest, Tequila Key is just like any other small town - if that town boasts a voodoo priestess and a few white witches for flavor. Turquoise blue water and the best margaritas this side of Mexico make it hard to leave. Autumn Bishop was just your average grad student...who happens to be a Seer. When she moves in with her long-lost aunt and cousins, they look like a relatively normal family from the outside, however they turn out to be so much more. 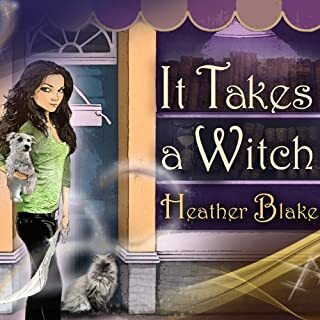 When ancient traditions, longstanding magickal feuds, ghostly visitors, and witches with malicious intentions start coming out of the woodwork, Autumn finds herself smack in the middle of the action as everything she thought she knew is turned upside down. Inexplicably drawn to the woman who has stepped from his dreams and into his world, Flynn fights a stubborn battle against his increasing attraction for Keelin. Forces unknown have better plans for the two. Only the secrets of the cove can show Keelin who she really is, the beauty of her mysterious power, and a love that will break the bounds of what she knows. I'm excited about this series! It's a light romance with quite a bit of fantasy. 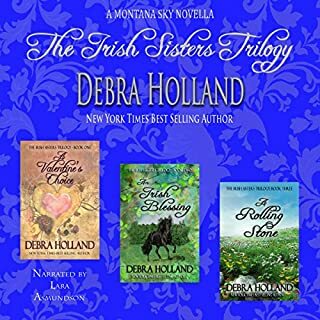 Our heroine goes to Ireland to meet her grandmother and she finds out she is a descendant of an ancient healer and she has the same special power. This is a journey to embracing who she really is, learning about her past and falling madly in love with the amazing neighbor of her grandma. I recommend this book to people who enjoy romances sprinkled with fantasy because of the mention of magic hearing, a color changing cove and the spirit of an ancient healer. Narration: Amy Landon did a very good job on this book. She totally nailed the old grandmother voice, the male voice, the accent and her transitions between characters was smooth. I would listen to more books narrated by her. 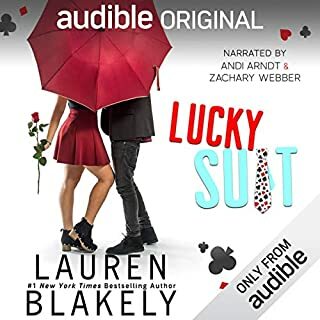 PS- The best way to get this audiobook is to buy the kindle edition and then buy the audiobook. By doing this and getting the Whispersync with voice option you will save a lot versus buying just the audiobook or using a credit. First, the narration was supurb, and really if that part doesnt hold up the rest just doesn't work no matter how great the writing. So 5 stars for the narration..
Ho Hum, it was a sweet story, the writing style is sophisticated, just uninspired. I will probably try another offering from this author at some point since this was my introduction to her writing. 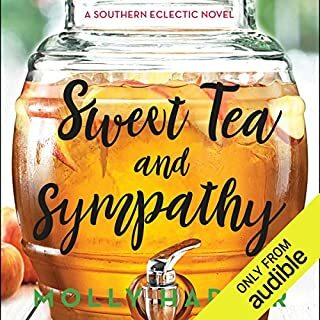 I've had this book on my Kindle TBR list for a while now and seeing Ms, O'Malley fans on her FB page rave about it I decided to give it a try. 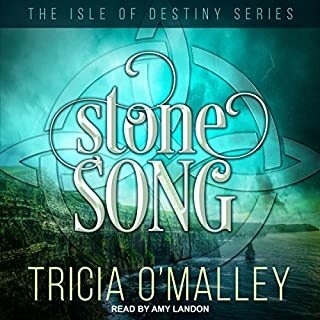 Tricia O'Malley does not use the tag line..."If you liked Nora Robert's Irish Jewels Trilogy you will love this"...but she should. Her characters are well developed and make you wish they were friends of yours and the magic element is perfect. Honestly I can't say enough good things about this book. I am now off to listen to the second book in the series. What about Amy Landon’s performance did you like? Her ability to use her voice to give each character their own personality and being able to read the male parts without sounding like she's imitating a man. In my opinion, a great narrator is one who's voice allows you to become immersed in the story and never think about the narrator themselves. I hope that there will be more books to come beyond the 4 that are out. I enjoyed this book more than I expected. I gave it four stars because I would have liked a bit more than a romance novel, which may be a bit unfair. I did however enjoy the book. I liked it being in Ireland. If you enjoy romance novels you will enjoy this one. wow..oh my giddy aunt.... a a a a a a a a a a a a unique unique and spicy. I just love this book! 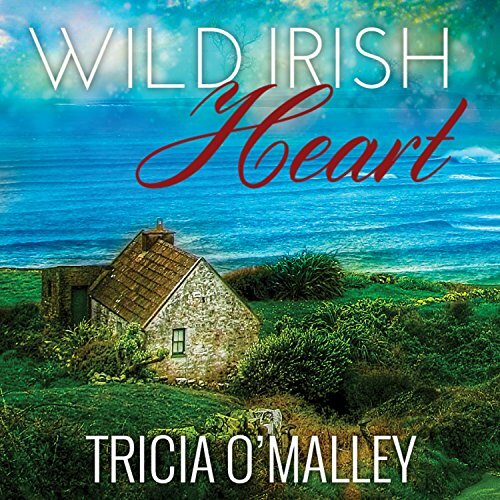 Tricia O'Malley has captured the very enchanted essence of Ireland and her people. Narrator Amy Landon gives so much life to the characters and landscape that you are literally transported there to become one with the story. This is a must read book especially if you have any Irish in you. I wholeheartedly recommend this book. Characters I story lack depth. Story is feebly constructed with child like conflict. Not what I would expect of a 28 year old graduate student of Marine Bilology. Character acts more like a 17 year old with opisitional defiance syndrome. Love this series, I have been so hooked! I can't stop listening. A definite worthy read. Loved the story, but agree the accents were weak and the distinctions between characters, ok. Amy did a good job with the main character, not with the men. lacks some detail, like her "training", a bit heavy in detail during love scenes, but otherwise pretty good. Very different but very good. I hope the next one is as good, and that the story will vary and not be a rehash of this one. Time to find out. Narrator accent for the Irish male characters was more cockney than Irish. Spoilt the story.